Journal pages for each of the 5 Regions. 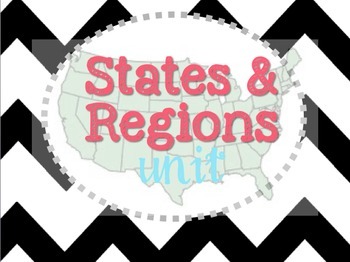 These are titled, "All About the ______ Region" Students use resources such as books, travel brouchures, Internet,QR Codes,(included) maps, etc to research each of the Regions. Handmade Word Search for each Region. State Float Project. Instructions and Rubric included in PDF form and PPT form so it can be edited by you.